Do you ever have a moment when you say to yourself “Why on Earth did I wait so long to try that”? When I switched over to the Paleo approach to eating I discovered I loved foods and ingredients I’d previously shied away from. One of those things being Apple Cider Vinegar. I love my Braggs and I pretty much use it daily. There are seriously so many ways you can use Apple Cider Vinegar, and incorporating even just a few of these will benefit you in ways you might not have previously thought of. Before we get into all the great ways you can use apple cider vinegar I wanted to mention why it’s important to by the organic apple cider vinegar that comes with the ‘mother’. The ‘mother’ is made up of enzymes like connected protein molecules with living nutrients and bacteria. This is where you get the most health benefits from the vinegar. Apple cider vinegar can be very strong. Always dilute it before drinking or putting it on your skin. Additionally if you don’t like the taste of it at first you can always add honey, a small amount of pure maple syrup, or even fruit juice to make it more palatable. For Weight Loss – Add two tablespoons in an 16 oz glass of water every morning. I like to drink it first thing, but others prefer to sip it through out the day. Apple cider vinegar has shown to help fight cravings, lower blood sugar, and has been shown to reduce belly fat and body weight in some studies. Stay Regular – Drinking it daily can help to keep your body moving regularly and flush out toxins that keep you backed up. Make Your Hair Shine – Re-purpose an old shampoo bottle by filling it with 1/2 apple cider vinegar and 1/2 water. Put onto your hair several times a week after shampooing to use it as a rinse. 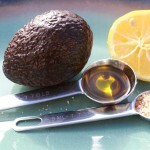 It will boost your hair’s body and shine! Incorporate it into Foods for More Flavor – My absolute favorite way to do this is as a dressing on salads, but adding apple cider vinegar to sauces gives them a fresh and new taste. See Recipe Below for my super easy and tasty Apple Cider Vinaigrette! Clean Produce – Using a mixture of 1/2 apple cider vinegar and 1/2 hydrogen peroxide will remove pesticides and other chemicals from fruits and vegetables. Soothe Sunburns – Add a cup of apple cider vinegar to your bath and soak for 10 minutes to help reduce the sting of a sunburn. Unclog Your Drains – Mix together 1/2 cup table salt and 1/2 cup of baking soda and pour the mixture down your clogged drain. Next add 1/2 cup of apple cider vinegar. The vinegar will react with the previous mixture giving off a harmless gas. Let sit for 2 hours and flush with hot or boiling water. Fight Acne and Blemishes – Use it as a toner to help fight break outs. Be sure to dilute the apple cider vinegar first. Typically a 1 part ACV to 2 parts water would work, but if your skin is very sensitive you may have to dilute it more. Wash Windows – Use apple cider vinegar to get a very clean streak free shine. Use 1/2 apple cider vinegar and 1/2 water. Some people prefer to use alcohol in place of water, but I find that water does just fine. Brighten Teeth – Get rid of stains on your teeth by using apple cider vinegar on a cotton ball rubbed directly on your teeth. Rinse well afterwards or even brush to remove the acid from your teeth. I have to say my favorite way to use apple cider vinegar is a toss up between drinking it and cooking with it. Recently I’ve been making a lot of this super easy Apple Cider Vinaigrette. It’s more flavorful than any dressing I’ve bought at the store, and it’s made with clean, fresh, and paleo and 21 Day Sugar Detox approved ingredients. 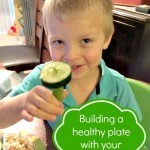 I use it as a dressing or a marinate for chicken, fish, or vegetables! 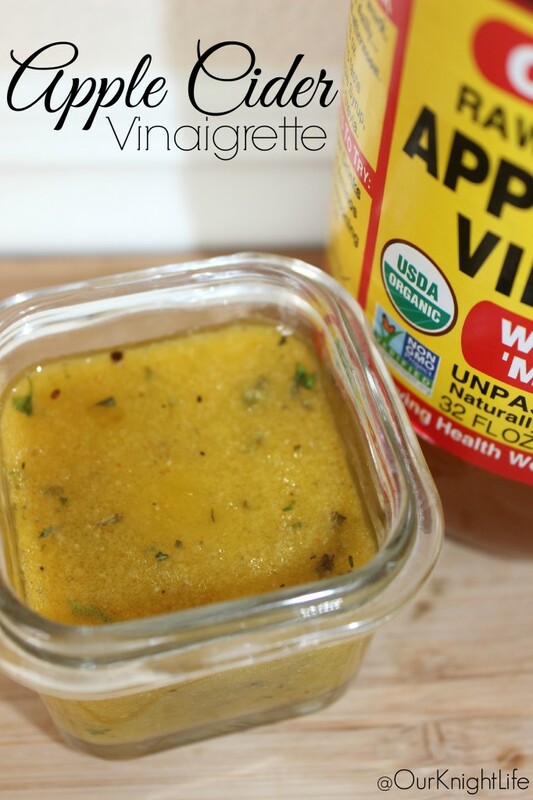 A super easy and very flavorful apple cider vinaigrette perfect for salads or as a marinade! 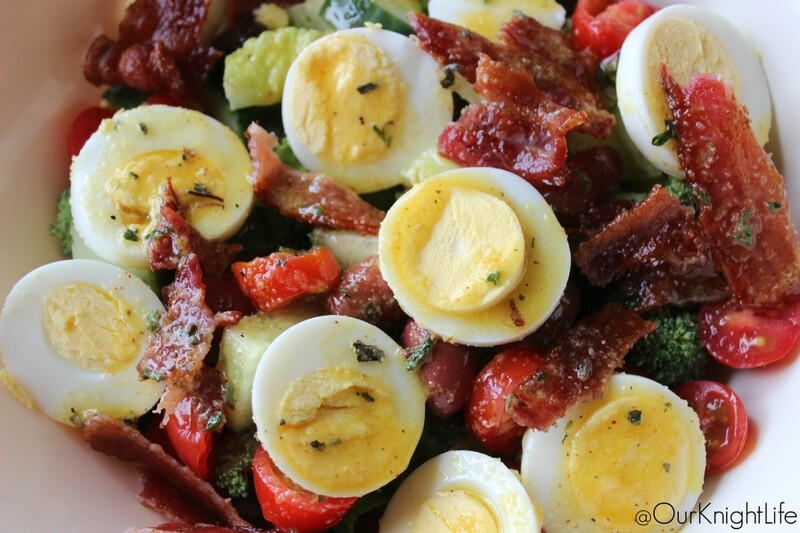 Flavor God Seasoning is paleo friendly and made fresh at ordering. Feel free to substitute your favorite seasoning combination. I don't every measure my ingredients anymore. I just use what looks right. Adjust the ratios as needed. I know what I’m having for lunch! Doesn’t that look so delicious! 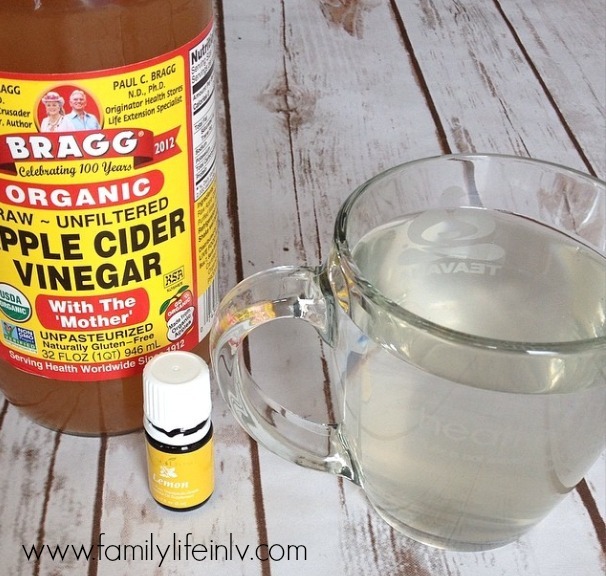 What is your favorite way to use Apple Cider Vinegar? I love using it in my hair. I haven’t done an ACV rinse in a while. I should! My favorite way is to make mustard-based BBQ sauce. I love Carolina style BBQ and a lot of the sauces are vinegar based. I need to get some unfiltered ACV, though. I’ve never tried it! I use ACV often. I do drink it, and love using it in dressings. Like Ashley, I haven’t tried the unfiltered, but I do make sure it’s not been distilled. I didn’t know that apple cider vinegar is helpful for fighting cravings. I need to give this a try! 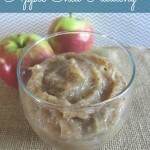 I didn’t know so many of those uses for apple cider vinegar! I love being able to use more natural ingredients for things like cleaning. Great list! We love ACV, too! Just this week we’ve used it for mosquito bites and a sinus infection 🙂 It is so versatile. Didn’t know about the teeth whitening; i’ll have to try it. These are great tips. I never knew that you could use it on your teeth though! 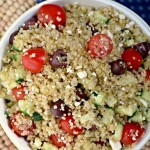 Yes, your lunch looks soooo good! YUM! I love using vinegar in my foods, love the taste. Wonder how the apple cider vinegar would work in a smoothie instead of mixed with water.. I knew the hair tip and a few more! 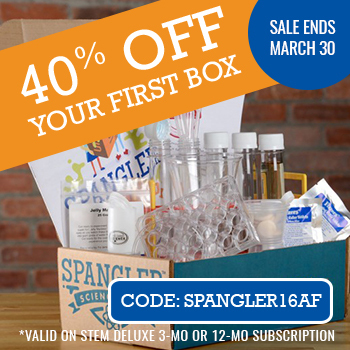 I will be using the teeth whitening tip! Just make sure you rinse well after or even brush – otherwise the acid could be an issue for enamel. I just bought some of apple cider vinegar to use for cooking. I’m glad to know I can use it for so many other things too! Apple cider vinegar is amazing! I use it when I am sick and as conditioner for my hair. I love all the uses! Another blogger wrote about it, and I ended up using it to help relieve my sinus pain in a ‘tea’ this is one of the best products, and I really do like the taste. We use ACV for a lot of things, but I’m just not at the point where, no matter what someone suggests I put in it, where I can drink it. I need to nut-up and just do it, because not a day goes by without someone telling me about how amazing it is. How do you swallow it when you drink it every morning? I don’t like the smell of it, I’m not sure I could drink it. I am wanting to try it on my acne though. Lots of good uses, thanks for sharing! I didn’t realize how many uses apple cider vinegar had. I need to start drinking it again in the morning! I always forget that I can use ACV for my hair. Which I’m surprised I don’t remember when I use coconut oil on it. 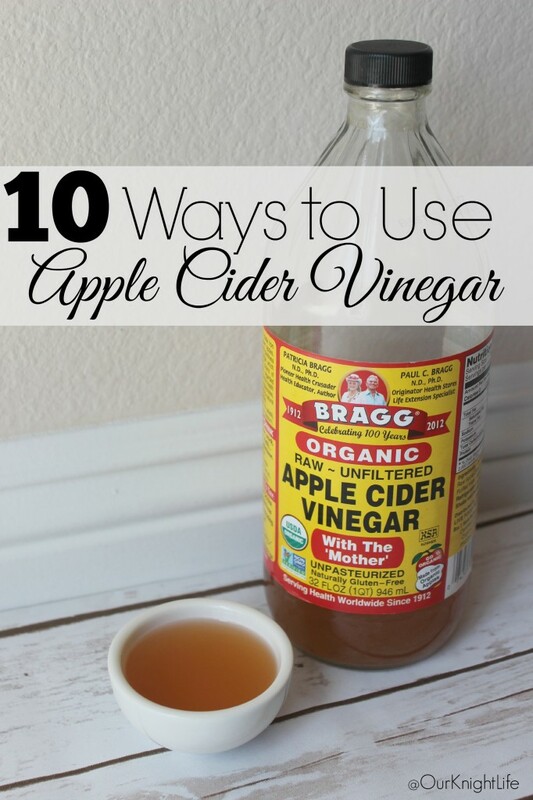 I love Apple Cider vinegar and have been using it for years! my grandpa used to clean his windows with recycled newspaper and vinegar and I’ve never used anything more effective 🙂 I have a friend who drink 1 tablespoon of APC first thing every morning and swears it’s the best immune system booster. My husband dropped 90lbs while he was using apple cider vinegar, i just couldn’t keep up with taking it. The taste is not something I look forward to. We have never incorporated it in food. This is a great way to have it with taking it directly. I’ve tried doing the health drink thing with apple vinegar, but just can’t do it. Love the tips though. It only make sense that you can do so much with apple cider vinegar. White vinegar is great for everything! I use apple cider vinegar for salad dressings, too – but did you know that it’s the perfect antidote for wasp bites, too? Just soak a cotton ball in ACV, apply it to the bite, and repeat as needed! Wasp bite healed!